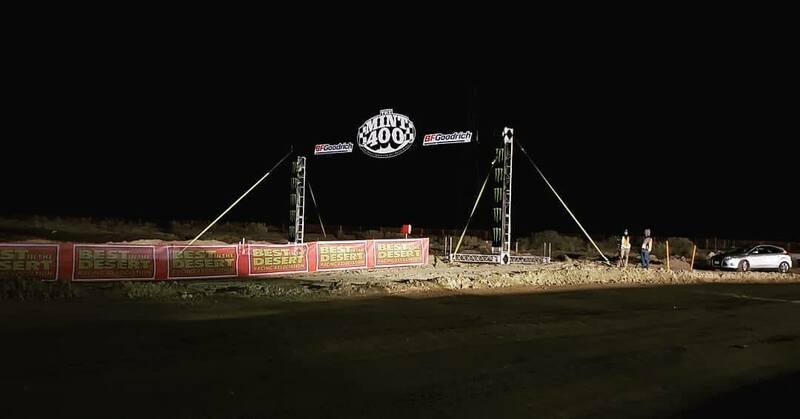 While Dynamic Racing experiences the “Taste of Dakar” at the Sonora Rally we have to recap on what went down at the 2019 Mint 400 earlier this month. 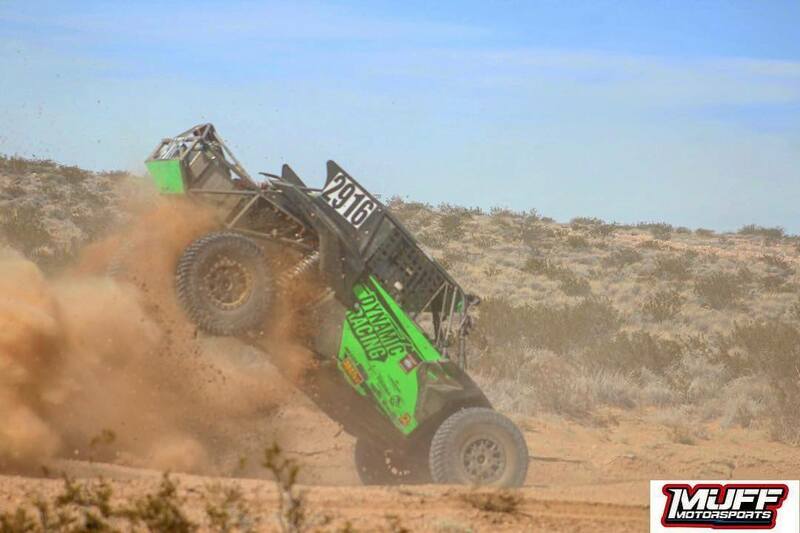 We are so proud of Christine GZ who finished her second Mint 400 race this year and reminded us that she is as good as a mechanic as she is a driver. 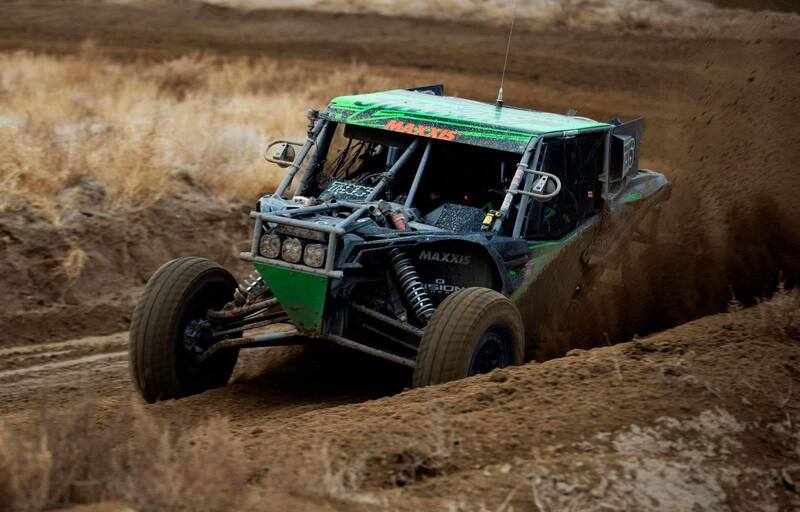 Dynamic Racing had 2 vehicles entered in this year competing in both unlimited and UTV turbo class. Car number 2916 started the race on Saturday at noon and by the first hour of the race they were chasing the leaders running strong and fast as they overtook competitors reaching the top 10. The romance and appeal any kind of motorsport is that anything can happen no matter what kind of drivers, team, or equipment you race. That was proven firmly when car #2916 driven by Paul Kraus and co-driver Jason Ferrell met with a rather spectacular roll-over, right in front of a herd of media crew too. It happened when the rear-end lifted and chewed on too much air causing #2916 to tumble end over end like dice on a craps table. A crash that lasted long enough to ponder the mysteries of the universe before the car finally came to a rest on its roof. Several other competitors greeted the floor on various body panels on that same spot on the course. 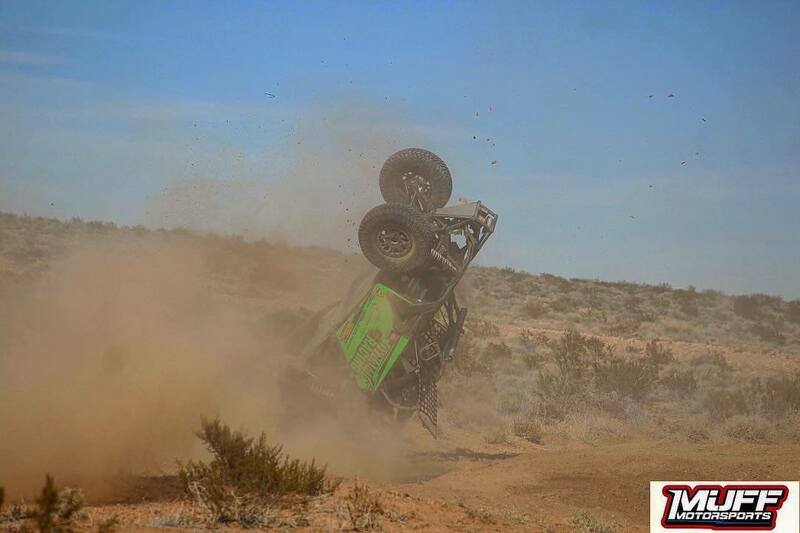 Both Paul and Jason suffered no injuries but #2916 was out of commission due to broken suspension components that made the vehicle unfit for racing even though no tires were flat and it was still running under its own power. 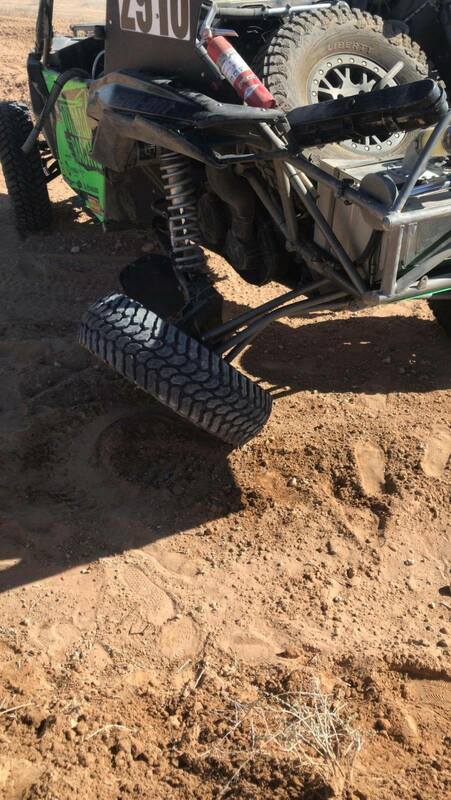 A testament to Maxxis Tires, Vision Wheels, and Can-Am’s build quality. Christine GZ started her race before dawn the following day in car #T906. Day Light Savings robbed everyone at the Mint 400 an hour of sleep but adrenaline is a powerful substitute for coffee. She started her race ten minutes before 7am as the sun was just starting to peek over the mountains of the Nevada desert. Everything was running smoothly until a rock damaged the front differential forcing #T906 into 2WD after the first lap. Then, roughly 80 miles before the finish line the overstressed rear axle broke and both Christine and co-driver Kyle Knotts had to swap it out under the deadline of the Trophy trucks and fear of a DNF. 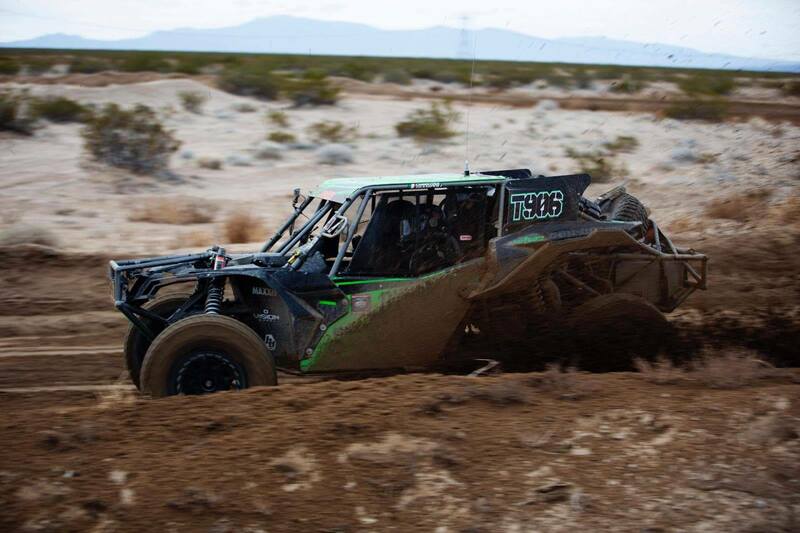 Skill and cool heads under pressure got #T906 to the finish podium under its own power and earned a completion pin for the 2019 Mint 400. Dynamic Racing couldn’t be happier with how well Maxxis Tires and Vision Wheels performed for us during this race. Two days of racing with two vehicles running hundreds of miles off-road, one rollover accident, and not a single flat tire or damaged wheel. Christine GZ finishing her second Mint 400 is sign of positivity on our road to Dakar 2020. 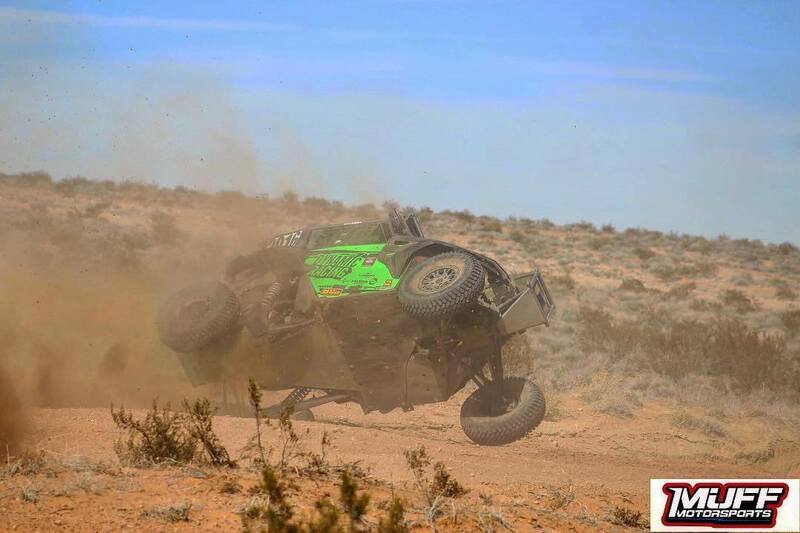 Right now Christine is running at the Sonora Rally, a weeklong rally-raid that will feel like 5 days of Mint 400’s back to back – hell for most, heaven for Christine. Dynamic Racing wouldn’t be on a mission to Dakar 2020 without the help of our sponsors: Maxxis Tires, Vision Wheels, Cam-Am, Maglock USA, Factory UTV, Weddle Racing Gears and Baja Designs. See you all in Mexico!